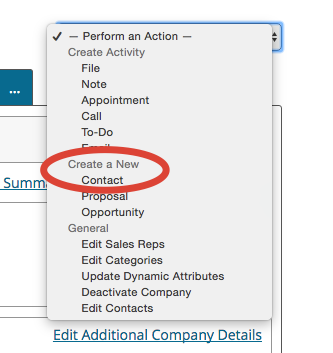 Quickly add a contact to a company from a company’s page. 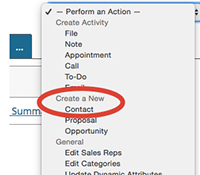 Click on the Perform an Action dropdown menu to the right of the screen and select create a new contact. Like this tip? Click here to see more!